Maybe I've been revising for Ecology too much (hah!) but this theory made me go a bit geeky. Although there are plenty of plants and trees on the Halos (but some of the tree graphics aren't so good...), there is no wildlife: why is all the grass in Halo nice and clean cut? are there robotic Forunner lawn mowers which come out of little holes and do all the gardening while nobody is looking? What's up with that? So far, the great ark has been the subject of much debate. Is it that structure that human archaeologists excavated on planet Corral, as mentioned in Conversations with the Universe? 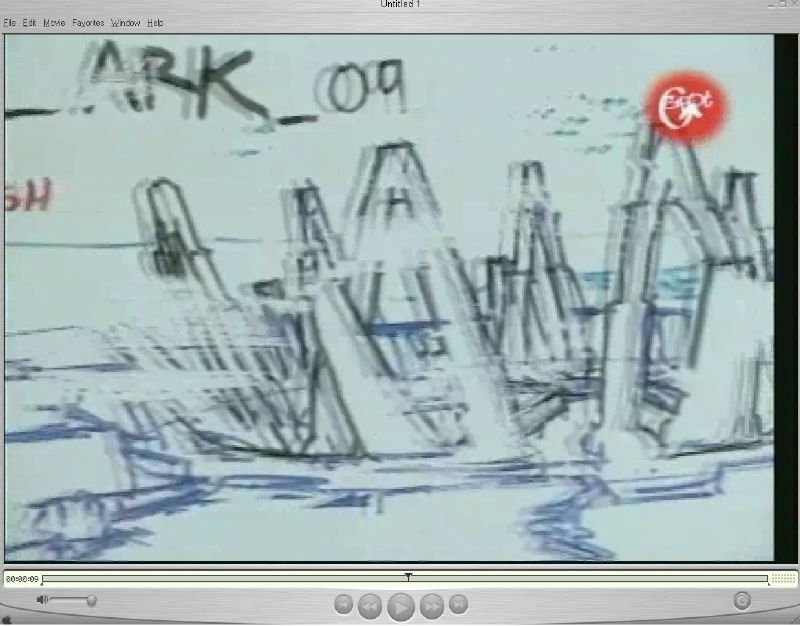 Or is it on earth, as bungie's earth-ark concept art for its preliminary idea of Halo 2 implies? There's that unlockable multiplayer level on Halo 2 that can be unlocked after playing on Heroic, and it's name is Foundation. In the great Isaac Asimov's Foundation series of sci-fi novels, a scientist named Hari Seldon tries to save the Galactic Empire by setting up two sanctuaries or foundations at opposite ends of the galaxy. Likewise, there might be two arks-one on earth for us humans and one for the covenant on corral. And like the enigmatic Second Foundation, the existence of one of the arks might even be unknown, to such an extent that it would be thought that only one Ark/Foundation existed. P.S. 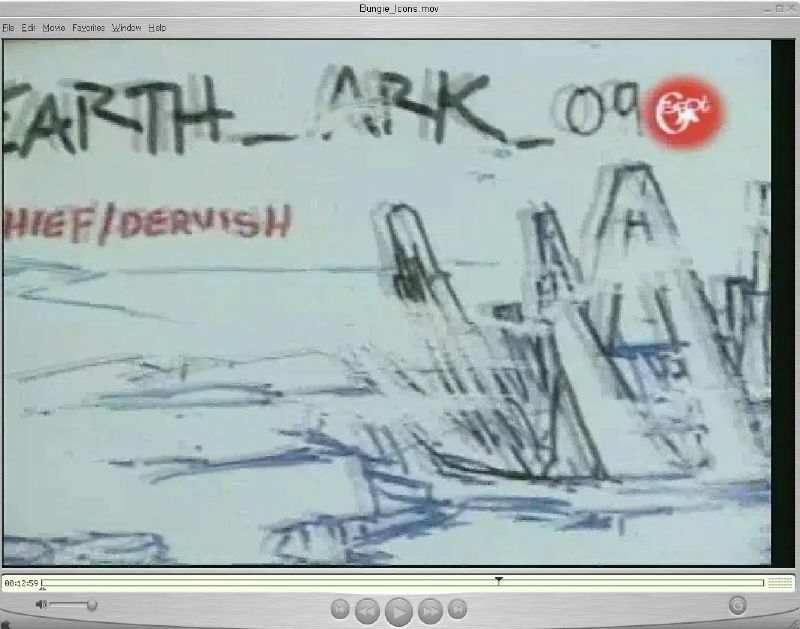 How many arks are there in the bible-Noah's Ark and the Ark of the Covenant, right? How can we say all this with a straight face? Shut up is how. Over on Bungie.net, Frankie has opened the can and spilled the beans (rather than just scarfing them down without sharing) on the backstory of Bungie's Dead or Alive (DOA4) crossover character: Nicole-458, Petty Officer 2nd Class. As Frankie says, "she's quite a lady. If you define "lady" as ferociously violent killing machine." Nicole was born in the year 2531 in the city of New Legaspi on Mars. At six years of age she was abducted by agents of the Office of Naval Intelligence and conscripted into the Spartan II program. The Spartan II program was the UNSC's highly successful military project to augment and hone perfect soldiers. SPARTAN-458's unit was preparing for a classified mission on Nassau Station when the ONI stealth ship Apocalypso tumbled into real-space - being carried along in the wake of a freak slipspace anomaly. The anomaly intersected Nassau Station; creating a semi-stable "bubble" in the space/time continuum on its way back to the 21st Century. For the time being Nicole-458 is trapped in the 21st century; guarding Nassau Station's secrets with all but lethal force (she realizes killing someone in the past could have dire consequences), waiting for the "bubble" to collapse and hopefully returning her to the year 2552. First up, a lengthy post by mrbananas, discussing the Prophets: their individual motives, their actual knowledge of the Great Journey, and what it means that "this time, none of you will be left behind". I've noticed many similarities between Orson Scott Card's Ender Quartet (Comprised of Ender's Game, Speaker For The Dead, Xenocide, and Children of the Mind) and Halo. 1. The Ender Quartet deals with three different alien races -- the Buggers, the Penequinnos (a.k.a. "The Piggies"), and [of course] humans. Of the three, the Buggers are extinct for most of the series (a good 3000 years), until one hive queen is planted by the main character (Ender Wiggin) at the end of Speaker For The Dead (could this be what happens with the forerunner?). The Buggers are a hive-race, with a small handful of leaders whose mind control the rest of the group (think of the Borg from Star Trek: The Next Generation). In addition, the Buggers are enemies of humanity (due to a misunderstanding) for the first book, [almost] completely obliterated at the end of it. 2. There are many similarities between Ender's "Jane" and Cortana. Jane is a life-form created when an attempt to take over Ender's mind by the hive queens fails and the telepathic bridge evolved into a sentient life-form -- a lot like rampancy. Similarily, Cortana is a literal brainchild of Dr. Halsey, created from a cloned brain. In the last book, Children of the Mind, Jane gains a body, which was created when Ender entered Auia-space (think of godspace). 3. Both John-117 and Ender were taken at a young age (five for Ender, six for John) for military training, and both excelled and became team leaders. When they entered service, they shared similar paths -- John was with the initial meeting of the covenant and a key player in many pivotal battles, and Ender commanded a fleet of ships that was sent to eliminate the Buggers by destroying their homeworld (he almost succeeded -- there was only one survivor). 4. The two series have some sort of mode of preservation for interstellar flight -- Halo uses slipspace and Cryo-pods to cover extensive distances, whereas the Ender Quartet is purely relativistic travel, which allowed Ender to live to 3000 years.